ETHOS lab at the IT University of Copenhagen is an experimental space that creates value with IT by exploring data and data landscapes in contemporary society. Critical Systems supports ETHOS and its contribution toward offering more options for students interested in big data, algorithms, privacy and ethics. See more. The Critical Systems Strategic Research area is an interdisciplinary network of computer scientists, social scientists and humanities scholars focused on the core components of critical systems that we define as big data, algorithms, privacy, security and ethics. See more about us here. Since autumn 2014 we have organized many very well attended events under the banner of Critical Systems. Presenters touched upon issues of privacy, smart cities, democracy, artificial agencies. All events generated lively discussions and developed relationships with international faculty. Scroll down to read more. We are excited to offer a Phd course in Big Data and Ethics, which will explore ethical questions that have emerged in debates about Big Data approaches, processes and implications. This PhD course will explore ethical questions that have emerged in debates about Big Data approaches, processes and implications. The proliferation of personal and impersonal data poses new challenges to ethical questions and moral dilemmas faced by those that produce data and those that collect and use it. Todays’ researchers must address the challenges to traditional assumptions about individuality, free will and power that emerge in applications of big data in research and practice. At first glance the very largeness of the datasets involved makes the individuals whose data makes up the datasets of limited epistemological importance. After all, what is one person in a dataset of hundreds of thousands or millions of data points. Thus the requirement of real informed consent is impractical and even impossible given the scale of the datasets and the relatively unpredictable nature of potential uses of these data. Such changes raise questions for the responsible research and innovation effort across the EU. This course proposes that topics central to ethical discussions such as research conduct, social good and avoidance of ethical pitfalls are still highly important. However, today’s researchers must also find avenues in their research through which to reconsider traditional ethical assumptions in the changing field of large data sets and shifts in potential for power among stakeholders. We invite essays reflecting on two or more of the listed topics that relate the readings to specific ethical discussions or issues encountered in the course of fieldwork and data collection experienced in students’ own research. We furthermore welcome essays that consider the challenges of interrogating, engaging and managing ethical issues in practice, including essays about how ethics are done in practice or essays that are critical of the notion of ethics itself. Students will be organized into thematic groups based on their papers. Each will be expected to act as a discussant for another paper, and will receive comments from a visiting or local professor. The course is open to all PhD students within IT, but will mostly be aimed at students doing qualitative or multiple methods studies of (digital) technologies especially in the area of big data - A background in ethnography, anthropology, sociology, information studies, informatics, information systems, qualitative approaches in software development or computer science, CSCW, HCI, or science and technology studies is therefore an advantage. *March 1st Submission of short bio of 150 words and an abstract of 200 words. *May 13th Submission of paper of 5-7 pages. Read more on application procedure, programme, and curriculum here. Critical Systems Talk: Looking for Spooks in our Networks: Locating sites of internet surveillance using the Snowden Surveillance Archive. Edward Snowden's disclosure of classified documents reveal that the US National Security Agency (NSA) and its Five Eyes partners are operating a secret global signal intelligence apparatus of unprecedented scope and intensity. The threats this mass surveillance poses for privacy, freedom of expression and democratic governance have provoked widespread concern. This talk begins with an overview of the main forms of Five Eyes surveillance, highlighting the interception of communication at internet choke points. It then introduces the Snowden Digital Surveillance Archive, a searchable collection of all published Snowden documents, illustrating its use as a research resource by reporting on work-in-progress aimed at making more visible the various sites and organizational actors involved in internet interception. The talk concludes with a discussion of the actions IT specialists may take in their professional and civic capacities for better understanding mass state surveillance, resisting its more dangerous aspects and developing networked infrastructures more consistent with democratic values. Presenter Andrew Clement is a Professor Emeritus of Information at the University of Toronto, where he coordinates the Information Policy Research Program and co-founded the Identity Privacy and Security Institute. With a PhD in Computer Science, he has had longstanding research and teaching interests in the social implications of information/communication technologies and participatory design. Among his recent privacy/surveillance research projects are two crowd-sourced mapping tools: IXmaps.ca, which renders more visible the paths individual data packets take across the internet and where they may be exposed to NSA mass interception activities; and SurveillanceRights.ca, which documents camera surveillance installations and their (non)compliance with privacy regulations. Clement is a founder of the Snowden Digital Surveillance Archive, the world's first publicly accessible, fully searchable, multiply-indexed database of all leaked Snowden documents published by news media. Read more about Critical Systems Talk: Looking for Spooks in our Networks: Locating sites of internet surveillance using the Snowden Surveillance Archive. Prof Alex Halderman will give a talk about internet voting and zero day attacks. Some define zero-day attacks as attacks on vulnerabilities that have not been patched or made public, while others define them as attacks that take advantage of a security vulnerability on the same day that the vulnerability becomes publicly known (zero-day). But the general definition describes zero-day attacks (or zero-day exploits) as attacks that target publicly known but still unpatched vulnerabilities. Alex Halderman is Morris Wellman Faculty Development Assistant Professor of Computer Science and Engineering at the University of Michigan and Director of the Center for Computer Security and Society at University of Michigan. 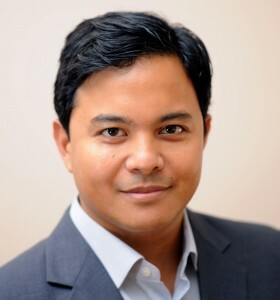 His research focuses on computer security and privacy, with an emphasis on problems that broadly impact society and public policy. Professor Alex Halderman is one of the people behind the discovery of the logjam attack that was published on May 20th, 2015. He will be at IT University of Copenhagen on Friday, 22th of May, and give a brief overview about how the attack works, as well as discuss the implications for national security. Big Data is a buzzword for a technological megatrend, an economical disruption, but perhaps more importantly, a forceful agent for societal change. The change is so fundamental that we may fail to realize its full reach, even when acknowledging threads to privacy or the rising power of data-hungry organizations. This is in particular true for personal data, which gets collected at massive scale and at hyper-resolution accuracy. We are in a crisis, at a point of fundamental change, a technological singularity, perhaps, that will shape the workings of our society in ways that challenge not only our understanding, but also our imagination. What is urgently needed today is critical thinking, maybe even a new critical theory, as we are faced with mechanisms of power and social control that by their very nature tend to camouflage themselves. In this talk, Thomas Hofmann will aim to take known surface truths in the general area of collecting data about human activity on massive scales and relate them to technological advances and novel methods of data modeling. The goal is to expose the very nature of data in a digital society and to make visible the principles and mechanisms that are at work. We need to understand why and how we are all subjected to measurement and how this leads to a historic, instantaneous, and predictive mapping of our society. We need to understand the secret life of (our) data, if we want to continue living in a society that guarantees personal freedom and democratic participation. 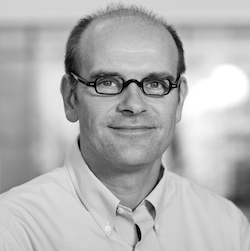 Thomas Hofmann is Full Professor at the Department of Computer Science at the ETH Zürich. After studying computer science and philosophy, he received a PhD in computer science from the University of Bonn in 1997. He held postdoctoral positions at the Massachussets Institute of Technology as well as the University of California at Berkeley and the International Computer Science Institute. He worked as first Assistant and then Associate Professor of Computer Science at Brown University, was Director at the Fraunhofer Institute IPSI as well as Professor at the Technical University Darmstadt. In 2001 he founded Recommind and from 2006 to 2013 he was Director of Engineering for Google Switzerland. His research areas include machine learning, information retrieval, natural language processing, data analytics, big data, knowledge management. See Hofmann's website. The talk is followed by a joint lunch. IT research and innovation addresses many of the core challenges to modern society within health, energy, social life, culture, etc. It should respond to the needs and ambitions of society, reflect its values, and be responsible. This ambition is at the core of the IT University of Copenhagen's strategic research areas. This ambition is also what motivated the EU Commission Directorate for IT research to introduce Responsible Research and Innovation (RRI) actions in H2020. Nicole Dewandre’s visit at the IT University is a great opportunity to explore how IT research can contribute to and possibly shape the definition of RRI actions in Horizon 2020 as well as inspire the landscape of Danish Research Activities. Presenter Nicole Dewandre is advisor for societal issues to the Director General of the Directorate General for Communications, Networks, Content and Technologies (DG CONNECT) at the European Commission. She studied applied physics engineering and economics at the University of Louvain, operations research at the University of California (Berkeley) and philosophy at the Free University of Brussels (ULB). She entered the European Commission in 1983, working in technological foresight until 1986. She then became a member of the Central Advisory Group and the Forward Study Unit, dealing with strategic analysis of research and industrial policy for the President of the Commission (1986-1992). In 1993, she supported the Belgian Presidency of the European Union in the areas of industry, energy, and consumer policies. From 1994 onwards, back in DG Research, she has been developing the "Women and Science" activities, has contributed to the opening of the EU research policy to civil society, and has been in charge of the "sustainable development" unit that has been put in place in DG Research between 2007 and 2010. In 2012, she has initiated the Onlife Initiative, which has explored how the advent of hyperconnectivity challenges policy-making, in pervasive and radical ways. She coordinates the joint approach to social sciences and humanities (SSH) and responsible research and innovation (RRI) in DG CONNECT. She is also ensuring the secretariat of the pilot Community of Practice for better self- and co-regulation. If we had online elections, how would it change democracy? We can bank online, why can't we vote online securely? Over the last four decades, information technology has begun to transform the electoral process - perhaps the most foundational process upon which democratic societies are built. Computers are gradually replacing manual parts of the democratic process by, for example, tallying results in Excel spreadsheets, predicting exit polls, or by computing seat assignments to parties in parliament (since 1962 in Denmark). With every such transformation, the overall process becomes more efficient, informative, and economical. However, there is a risk of the process becoming less trustworthy. The deployed technology tends to be complex and therefore prone to programming error and vulnerable to malicious attacks. These problems have an adverse effect on the very foundations of democracy. Voters are less likely to trust the electoral process, which inevitably leads to lower voter participation and cynicism. Issues of cyber security and data privacy will be discussed by Alex Halderman, who has hacked the electronic voting system planned for Washington, and Carsten Schürmann, leader of the DemTech project. Afterwards, the duo Brödre /w. Michael Rexen will take the stage and create a comfortable and interesting atmosphere while chilled cocktails are being served. Entrance to the event is free. No registration is necessary. Doors open at 19:00. This concept attracts great amount of people and thereore we strongly advise you to arrive early as all seats fill very quickly. 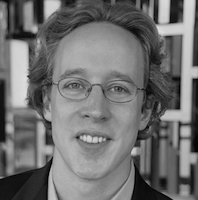 Carsten Schürmann is Associate Professor at the IT University of Copenhagen, member of the Programming, Logics, and Semantics group. He is the The DemTech project leader, which has the main objective of assisting electoral management bodies with the development of digital election systems, the evaluation of threats and challenges, and the analysis and management of risks. Event takes place 10th of April 11:00-12:00, in room 2A52. In her new book Mireille Hildebrandt argues that we are on the verge of entering an onlife world saturated with artificial agency. Though such agency is mindless in most senses of the term it will have a profound impact on human agency and challenge many assumptions of modernity. Hildebrandt will focus on the risks of depending on data-driven agency and the need to develop ways and mean to anticipate how it will increasingly anticipate and preempt us. See ‘Smart Technologies and the End(s) of Law. Novel Entanglements of Law and Technology’. 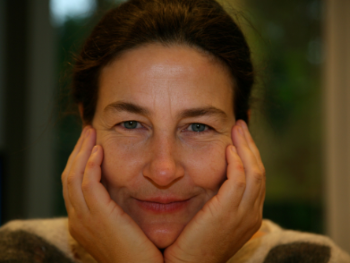 Mireille Hildebrandt is professor of Smart Environments, Data Protection and the Rule of Law at the institute of Computing and Information Sciences (iCIS) at Radboud University, where she teaches Law in Cyberspace to Master students of computer science. 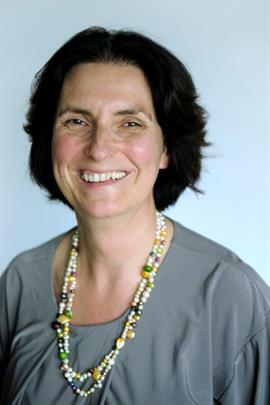 She is also professor of Technology Law and Law in Technology at the research group for Law, Science, Technology & Society studies at Vrije Universiteit Brussel and Associate Professor of Jurisprudence at the Erasmus School of Law in Rotterdam. See for her publications.